RT.com was temporarily disabled Monday for just under five hours by a DDoS attack. It coincided with RT's reporting on the trial of Bradley Manning and massive anti-government protests in Turkey, with coverage continuing uninterrupted on Twitter. 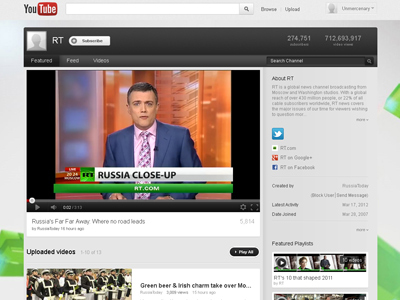 The attack, claimed by anti-WikiLeaks hacker group AntiLeaks, also came as RT celebrated its status as the first international news agency to reach one billion views on YouTube. “Yes we are responsible for the attack on #RT_com,” read a tweet from AntiLeaks Monday. 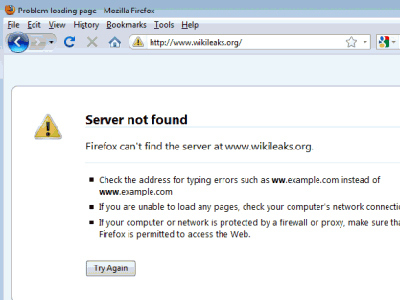 The same hackers previously used a distributed denial-of-service (DDoS) attack in August of 2012 during the debut episode of WikiLeaks founder Julian Assange’s show on RT. Hackers often use DDoS attacks to disable websites by fabricating Internet traffic and overwhelming a site's hosting service, which is what happened in this case. “This is a continuation of our protest against RT.com for their support of the traitor Bradly Manning and cyber terrorist Julian Assange who I need to remind your viewers once threatened to release a ‘thermonuclear device’ of government files containing the names of spies, sources, and informants if he’s killed or brought to trial,” AntiLeaks wrote in an email to journalist Michael Rusch. This attack however, like the one last year, did not impede RT's ongoing coverage of the Manning trial or the protests in Turkey. 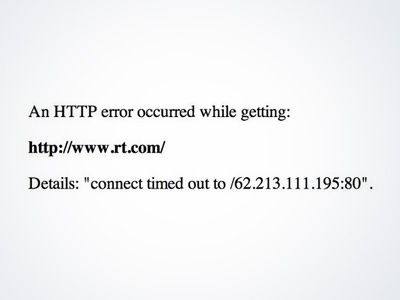 “RT’s website came under a series of DDoS-attacks on Monday. Kaspersky Lab took urgent security measures and repelled both the attacks,” said the internet security provider. According to the Lab, the first attack took place on Monday afternoon, lasted one hour. The second one began at 17.45 and lasted till 07.00 Tuesday morning. At its peak the first attack reached 4.5 GB intensity, with an average speed of 2 GB per second. The second attack was estimated at 4 million packages per second. The AntiLeaks hackers also make reference to RT's announcement that the number of people who have watched our coverage has exceeded one billion. Little information can be gleaned on AntiLeaks aside from the organization’s Twitter feed, though its few dozen tweets over the course of nearly a year are peppered with patriotic American lines like "Semper Fi," the motto of the US Marine Corps. Various blogs have speculated the group is made up of staff from the National Security Agency, the decades-old, fabled intelligence organization only made public under the George W. Bush administration, or computer experts affiliated with the NSA. 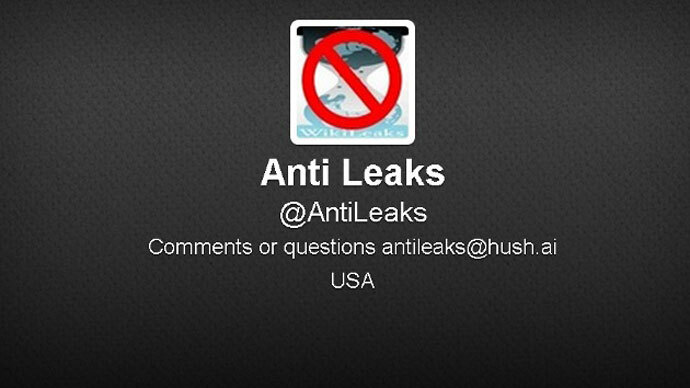 One tweet, sent after AntiLeaks disabled WikiLeaks’ website in August 2012, reveals little more.